0 Comment December 2, 2017 Like? Tour our new Live Streaming Studio! 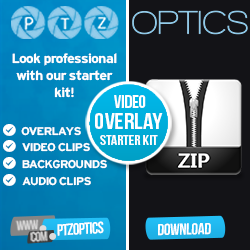 Are you ready to tour the brand new PTZoptics live streaming Video Production studio? In this video which was Livestream ed December 1, 2017, the PTZoptics live streaming team takes you behind the scenes in our new video production studio. Our multi-camera video production studio, which is 90% complete, is finally ready to be shared with the world. Paul, Tess and Michael take you on a behind-the-scenes tour of how they set up their live streaming studio custom for our business. Equipped with over 10 live streaming PTZ broadcast cameras, some pan, tilt, zoom and some static, the entire office is outfit with live streaming capabilities. We walk you through our entire office floor plan recent installed with the latest audiovisual equipment to enable the team to have instant video collaboration and live streaming capabilities at their desk or in dedicated streaming areas. This PTZOptics Studio tour starts with a talk show style live streaming set in the front of our office. This live streaming set is connected to our main broadcast studio using the NewTek NDI (Network Device Interface) over a gigabit network switch. This allows our video production team to manage multiple live streaming sets over a simple IP-based network. We can access all of the cameras and microphones in each set and manage everything from a central video switcher. From here we can connect multiple cameras and have a green screen to do chromakey for our live streaming effects. You will also see how we use the green screen techniques during our live streaming pre-show which allowed us to use the Christmas holiday background set during this live broadcast. From here we take you into our video conferencing and collaboration area which is also connected to the live streaming and broadcast system over the NewTek NDI (Network Device Interface) network. This area is mainly used for video collaboration and meetings with clients around the world but we can also use the cameras with vMix to connect back to our main broadcast studio and use the area as a transitional space between the main broadcast Studio and our other video studios. From here we have our makeup and hair preparation area which also serves the social media content creation office. This is where Tess does her makeup and plans to do a live streaming beauty show. The next office is dedicated to green screens and postproduction. This is where we edit our live video and create new videos in postproduction. Finally, we share our main broadcast studio which has multiple sets in different camera angles to share our live streaming process. The latest new camera shows a behind the scenes view from the video producer standpoint which is a PTZoptics wide-angle camera with HD SDI plugged into our live streaming computer. This computer can support up to eight HD SDI cameras with our Magewell PCIe pro capture cards. We also control all of our cameras with an IP joystick over the network allowing us to PanTiltZoom the cameras into different locations as needed with vMix or a physical joystick. Including the producer behind the scenes camera, we also have two more sets. We have one live streaming product presentation area with the standing height table and an LCD monitor mounted on a tilt to avoid unwanted glare during the broadcast. We also have a casual director chair set for intimate conversations regarding video production. The entire set has been painted and/or wallpapered to give the room a Video Production feel. The main wall features are realistic red brick wallpaper and all the surrouNDI (Network Device Interface)ng walls have black chalk paint which adds a matte black color to support our video production lighting efforts. We also have over five different LED broadcast lights to provide at least three point lighting in each scene. We hope you enjoy this behind the scenes look at the PTZOptics studio and subscribe to our YouTube channel to learn more. We live broadcast every Friday at 11 AM Pacific 2 PM Eastern.